May 9, 2014. This is the second year we have worked with Rumah Cemara, and the second time we have been amazed by the bold work being done by their programs around Indonesia. Rumah Cemara is a fellow Streetfootballworld partner that uses football to educate and address the stigma towards people who are HIV+ as well as former drug users. Joining the partnership this year is Chevrolet FC, who are also the new sponsors for Manchester United. This is the first of a number of global sites that Chevrolet FC will be working alongside Coaches Across Continents as part of the What do you #playfor initiative. What Rumah Cemara has created is an inviting safe space for people of all genders and backgrounds including former drug users who are HIV+. They accept people for who they are regardless of sexual preferences, personal history, or soccer ability. Just like last year, coaches came to the Coaches Across Continents training from all over the island Java and other islands in Indonesia. 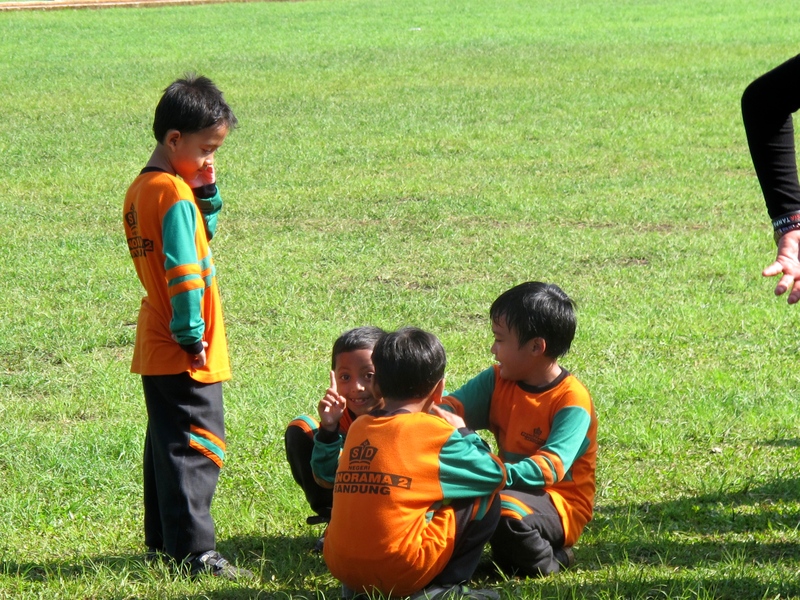 Including Rumah Cemara, there were 29 different NGOs or football organizations represented. 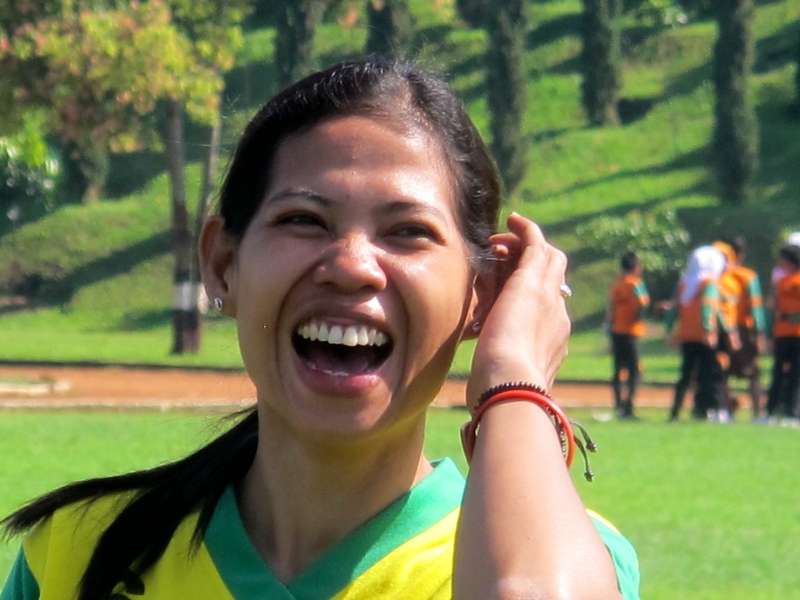 We even had coaches from Bali and Papua fly in for the training. It was all smiles working with Coaches Across Continents this week! Approximately 25% of the coaches this week had participated in our training last September, and they were often the leaders in new activities. One game that hit home for this group is brand new game being released by Coaches Across Continents called “Understanding Stereotypes.” This is a normal game of football but the field is divided into three zones. Each player is restricted to this specific zone and may not leave for any reason. This represents the stereotypes and limitations that are placed on people in society. As the game progresses one team has all restrictions lifted, becoming a more “free” society. The game concludes with all restrictive zones lifted. The coaches immediately saw how this can be used to help teach their messages of stigma towards people differences, notably HIV+, drug users, and sexual orientation. Everyone is excited for the Chevrolet, Manchester United, & Coaches Across Continents partnership. This five days of training has concluded, but our work on this project is includes extra elements because of our partnership with Chevrolet FC. We are going to work for an additional five days with just Rumah Cemara coaches in an intensive additional program. The ten total days of training will conclude with a surprise event that we are happy to be a part of. 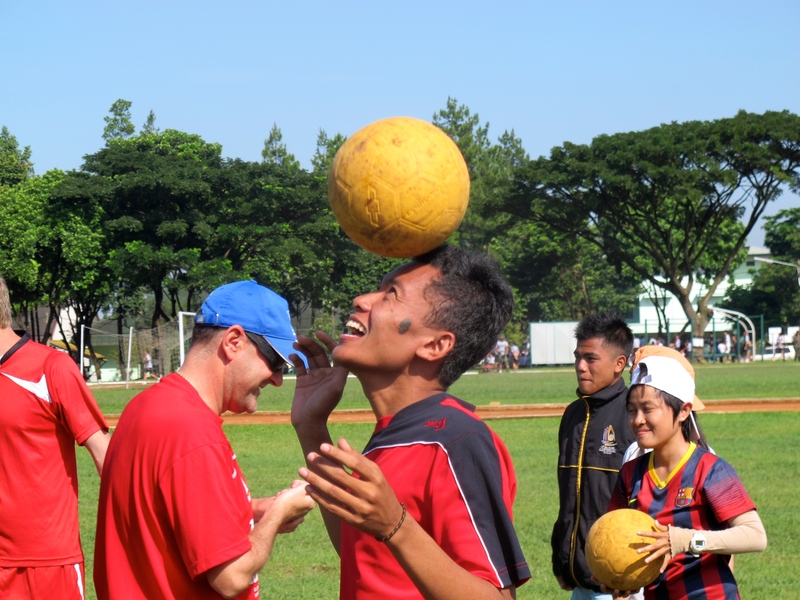 Our partnership alongside Chevrolet FC and Manchester Uniter (along with Rumah Cemaraand One World Futbol) is the first of a number of sites globally over the next two years. Each implementing partner will see some amazing impact on their programs. Check back soon to see the depth of impact that Chevrolet FC is having on Rumah Cemara! Get sneak peaks on twitter by following @chevroletfc or @coachesacross, and the hash tag: #playfor. Trust us, this is big! This kid knows, Coaches Across Continents is #1!